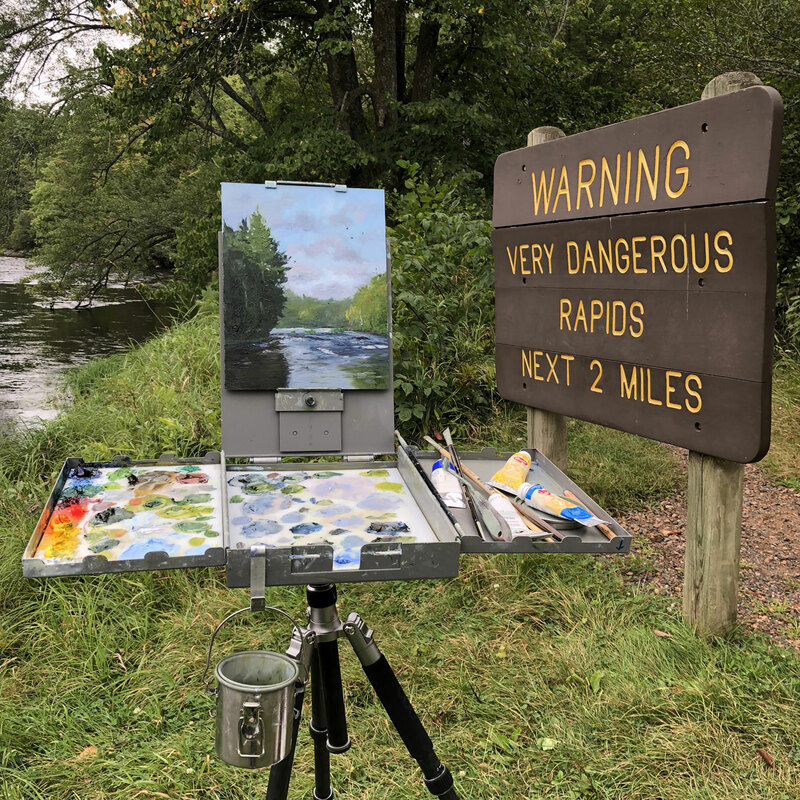 It’s not quite over just yet, but as plein air painting season comes to an end, I’ll be working on studio paintings during the next few months. It’s been great getting out and practicing in the wild. 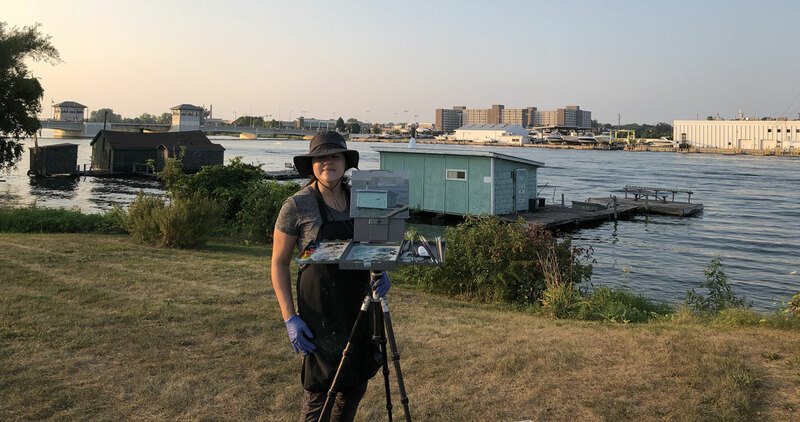 I’ve been doing plein air painting for just over a year and I feel like this plein air season taught me a lot. There’s nothing more humbling, frustrating, and fun than trying to create something with ever-changing light and weather conditions. I was recently asked why I paint. My immediate thought was that I want to build a body of work. My goal was to have enough work for a show in two years. I don’t know if that is feasible, but I’ll do my best. As long as I am producing and improving, that really is all that matters. My next thought was that I really don’t know why I constantly want to paint. I certainly don’t live the “glamorous art life”. I’m a UX professional by day (which is awesome!) and whatever free time I have, I spend painting. Plein air painting is time-consuming, a sunburn risk, and it certainly isn’t cheap to regularly have to buy supplies. There’s lots of rejection involved, “critics” definitely voice their opinion, and there’s always the pressure to market yourself (which is a whole other job in itself that I definitely need to work on). That’s about all the complaining I will do. If it was truly that bad, I wouldn’t be a painter. There are reasons I continue to create no matter what the circumstances are. Work-life balance is key, even at a job you love. I know I spend way too much time sitting at a desk and my posture is definitely proof of that. Most people I know sit at a computer or spend a good portion of their day on a digital device. I don’t think we’ve evolved enough as species to be in a digital environment twenty-four hours a day. There’s a certain magic that comes with being disconnected from this digital noise. I love working in the digital space just as much as the next person. However, I know my limitations. It can be a little daunting always scrolling through the perfection on social media, constantly feeling like it’s impossible to keep up on all the design trends and technologies, and at times just generally overwhelmed. Painting outdoors is a tactile, analog experience that gets me outside in the fresh air. Hours go by and I sometimes do not notice how much time has gone by. It requires constant thinking, adjusting, perseverance and planning to create a successful painting. The digital projects that I spend so much time working on, have a relatively short shelf life. Trends change, products change, technology changes at a very rapid pace. Some of the old CSS I’ve written just a few years ago, looks like it was done in the Neolithic time period. Artwork has a longevity to it (most types do at least). It’s not a big deal if things are “old”. In fact, old might be valuable. The date on the painting doesn’t matter. If something “good” was painted 1 year ago, 5 years ago, or even 100 years it is still relevant. It’s interesting that the painting techniques that I use are not cutting-edge by any means. Composition, value, or color theory are not new concepts, but yet the most important. This is something related to the practice of UX as well, but there has to be constant learning and practicing to get better. Art is a lifelong practice. Even if you went to school for it, it’s only the beginning. Mastery is a journey and there is no shortcut. I have a whole shelf of “painting fails” that are just dots on the timeline. Why bother creating if no one sees your work? When you know that you need to create art for display, that elevates the quality in my opinion. 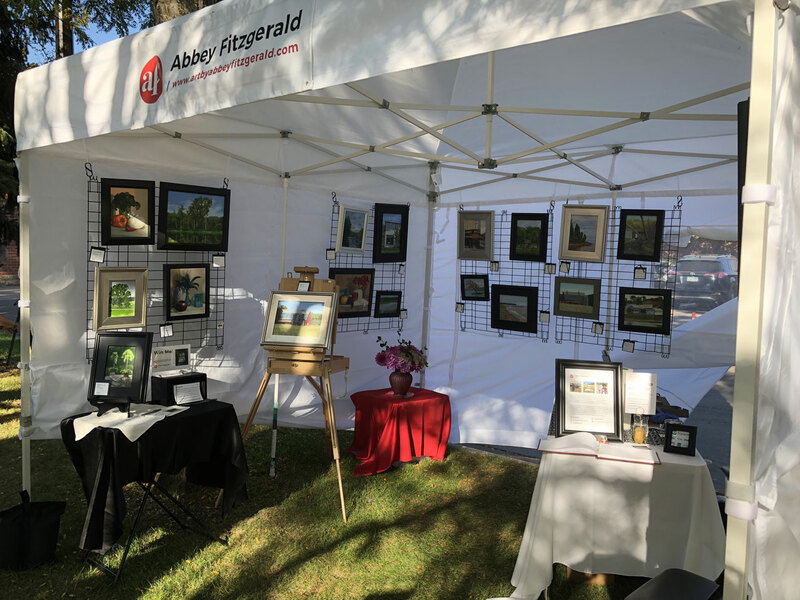 I recently participated in an art festival and had a great time meeting people that stopped by the tent. It was great to get feedback on my art and build contacts. There are a few shows where I’m currently exhibiting work. There’s an uncertainty of how viewers will react to the paintings. It’s always a question when submitting to a juried show if the work will even be accepted into the show. I credit my many years of design critiques as a way to keep the emotion out of things (as much as possible). Painting is a great way to celebrate but also stay dedicated even when things don’t go the way I had hoped. It’s amazing how many places I don’t know about in the Twin Cities or in the state of Minnesota. There are the landmarks of course, but there are also other hiding places that are tucked away. It’s always fun to discover new places because it is a new painting challenge. I found so many great parks, ponds, and buildings. I went to many new state parks for camping trips as well. Are you an artist? If so, do you agree with these reasons? If you prefer other activities, what keeps you motivated? Feel free to share in the comments below. Want to see more of my art? View my website or follow me on Instagram.